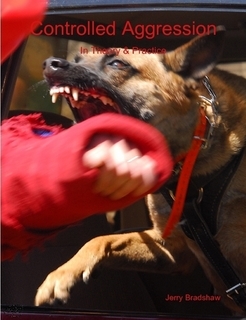 Jerry Bradshaw’s book Controlled Aggression available in paperback or as a downloadable E-Book is a resource for understanding fundamental canine protection training for canine sport (PSA), police and security K9s. It is a blueprint for creating strong fundamentals as well as solid basic control skills including out on command, redirects and recalls without creating conflict. Get to the next level and buy your copy today! Previous EntryK-9 Cop Magazine Featured Kennel: Tarheel CanineNext EntryWe’ve got puppies!